Samsung Electronics has just announced the launch of its latest Exynos application processor (AP), with Exynos 9 Series 8895 octa-core processor with four second generation custom designed ARMv8 CPU cores, and four Cortex A53 cores, as well as a Mali-G71 3D GPU, and a Gigabit LTE modem. The LTE modem delivers data throughput at up to 1Gbps (Cat.16) downlink with 5CA (five carrier aggregation), and 150Mbps (Cat.13) uplink with 2CA. The SoC also embeds an “advanced MFC” (multi-format codec) for recording and playback at up to 4K UHD at 120 fps, a Vision Processing Unit for video tracking, image process, and machine vision technology, and another processing unit allows for mobile payments using iris or fingerprint recognition. Exynos 8895 is also the first application processor manufactured with 10-nanometer (nm) FinFET process technology and improved 3D transistor structure, which according to Samsung, allows for up to 27% higher performance, while consuming 40% less power when compared to 14nm technology. 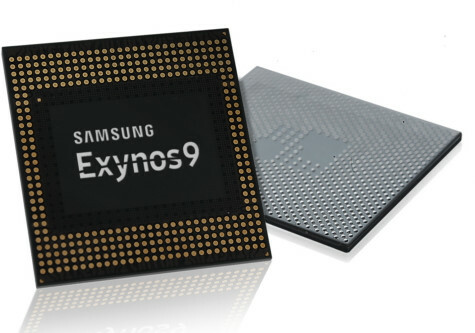 Samsung Exynos 9 Series 8895 is currently in mass production, and could be found in the next Galaxy S8 smartphone.